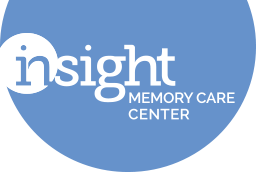 Insight Memory Care Center offers free, confidential, face-to-face memory screenings and educational materials to people with concerns about their memory or who want to check their memory now for future comparison. This is a part of the Alzheimer’s Foundation of America’s National Memory Screening initiative. Monthly screening are held at our center on the fourth Wednesday of each month from 1:00 pm to 3:00 pm. Additional screening sites can be found at nationalmemoryscreening.org. A memory screening is a simple and safe evaluation tool that checks memory and other thinking skills. It can indicate whether an additional check up by a qualified healthcare professional is needed. The face-to-face screening takes place in a private setting; only the individual being tested and the screener are present. A screening consists of a series of questions and/or tasks designed to test memory, language skills, thinking ability, and other intellectual functions. Insight Memory Care Center uses the MOCA, or Montreal Cognitive Assessment, a screening test designed to assist detection of mild cognitive impairment. The person who administers the screening will review the results with the person being screened, and suggest whether the person should follow up with a physician or other qualified healthcare professional for more extensive testing. Results of the memory screenings are confidential. The participant will receive the screening results to bring to a healthcare professional for follow-up if needed. Memory screenings make sense for anyone concerned about memory loss or experiencing warning signs of dementia; whose family and friends have noticed changes in them; or who believe they are at risk due to a family history of Alzheimer’s disease or a related illness. Screenings also are appropriate for anyone who does not have a concern right now, but who wants to see how their memory is now and for future comparisons. Questions about the Screening? Please contact Lindsey Vajpeyi at 703-204-4664 or lindsey.vajpeyi@insightmcc.org to learn more or set up a time to come in!